After the color is selected the product image will change to reflect the selected product color. Each color can have name and product image assigned. 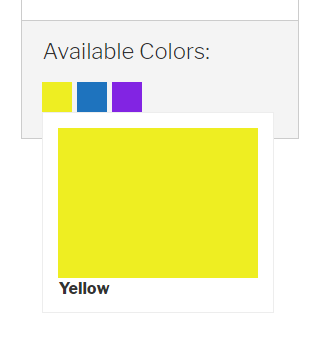 When the color is clicked on a product page the corresponding product image will show up to reflect the color. The order notification emails will also contain color information.